Dr. Sara Houston is Principal Lecturer in Dance Studies at the University of Roehampton, UK. Her main research focus is community dance for, with and by marginalised people and groups. For the last eight years Sara has been playing a lead role in researching dance and Parkinson’s internationally. 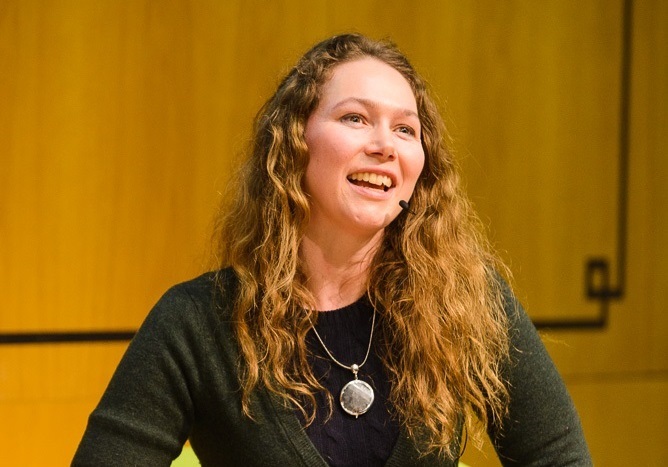 Her work with English National Ballet’s dance for Parkinson’s programme won her the BUPA Foundation Vitality for Life Prize in 2011 and she was a Finalist for the National Public Engagement Awards in 2014 in her work to engage the public with the dance and Parkinson’s research. She is currently a member of the AHRC Social Choreography Network, which is discussing the ethics of movement practice and research with people who have gone through forced migration. Sara is Chair of People Dancing, the national strategic organisation for community dance in the UK and an advisory group member of the Dance for Parkinson’s Partnership UK and Queensland Ballet’s Dance for Parkinson’s programme in Australia. Her book, Dancing with Parkinson’s, will be out in August 2019, published by Intellect Books.